What Do Storm Windows Do? The average cost for a replacement awning window installation is $200 to $460 per window + labor costs which can average around $38 per hour depending on your local window installers average price. See local window prices below. What are storm windows? Storm windows are solid windows that don’t open or close. Most install on the outside exterior of a house over standard single pane windows. By creating a solid seal they help to improve insulation in your home and protect it from outside elements. The storm window installation utilizes the frame currently used by existing windows. 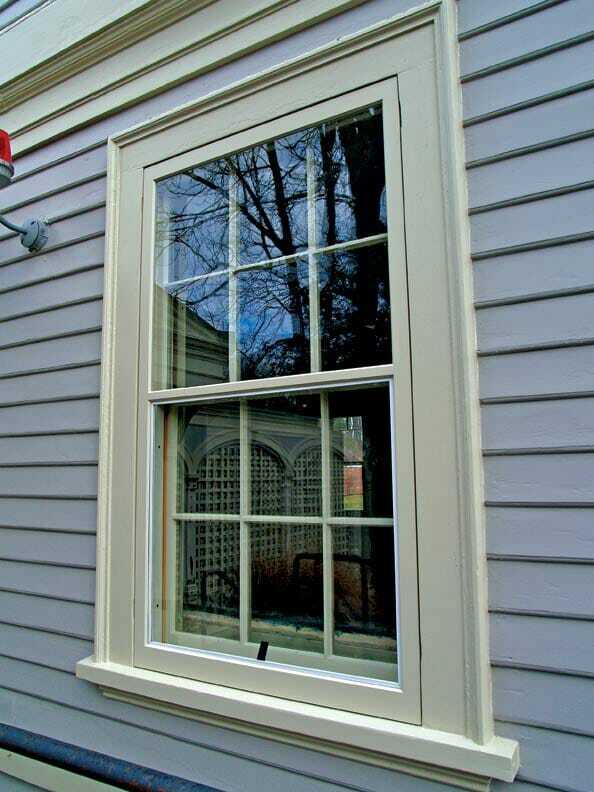 Storm window installation choices include aluminum, wood, and interior storm windows. Single pane windows let cool air in and warm air out more than any other window, which is why most homeowners like to replace windows. Storm windows are a great alternative to replacing windows. They are weather resistant, affordable, and energy-efficient. Storm windows are designed to improve the efficiency of homes with inefficient windows by creating a second barrier on top of the original window. 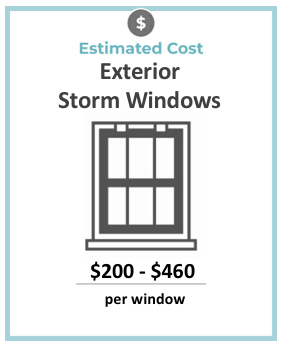 Most standard storm windows will provide a noticeable difference in your utility bill when installed properly. They help keep the house cool in the summer and warm in the winter. Even though a storm window will save you money over replacing the windows, they require more maintenance if you like to open and close the windows during the warmer months. You’ll have to remove the storm windows and reinstall them each and every year in order to retain the function of your standard windows. This can be a huge amount of work if you are using a storm window on a second story house. Installing a storm window is relatively easy and can be completed by most homeowners without a problem. 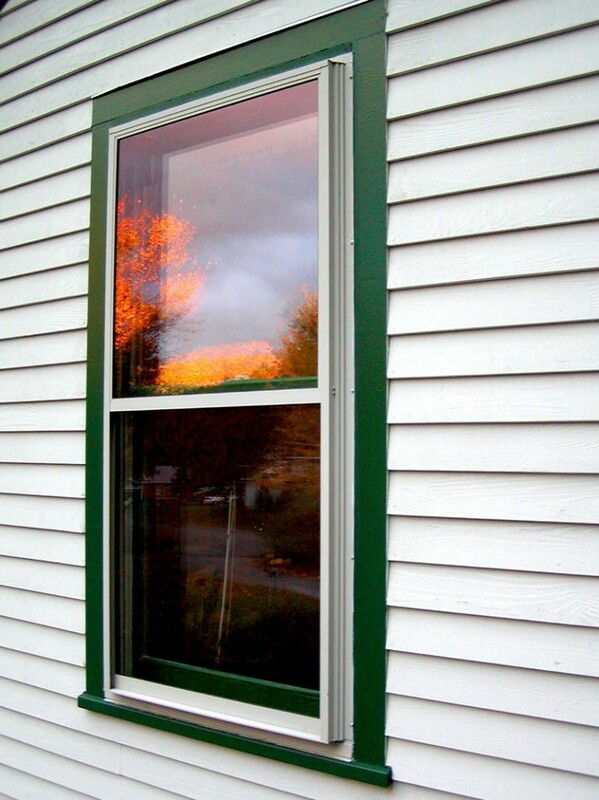 First, measure the window opening to get the right sized storm window for your home. Then apply caulk around the sides and the top of the window stop where the storm window will sit. Then slip the storm window into place centered right in the window opening. Screw the window into place using one-inch sheet screws along the sides and the top. While exterior storm windows are the most common type, interior storm windows offer just as much in the way of benefits, and they’re often used in historic districts or by people renting homes. These windows install on the inside of the house, in much the same way as exterior storm windows do. They create a seal that protects the house from cold or hot weather just as effectively as the exterior windows do. One issue to be concerned about when having a storm window installed in your home is condensation between the storm windows and your standard home windows. If condensation is allowed to build up between these two layers, all of the trim and exterior wood on the home will rot away over time. To prevent this from occurring it’s vital to ensure that the standard window is sealed properly before the storm window is ever put in place. Use caulk on the sides and top of the window to seal any possible holes. This will help keep condensation out after installation. Whether or not a storm window is a good investment for your home depends on the windows that you currently have. If your home has high quality Energy Star certified windows that are well insulated you won’t benefit from a storm window like you would with poor quality windows. Storm windows are an option worth considering if you’re looking for a way to improve the insulation of your home. They’ll help cut down on heating and cooling expenses throughout the year, but can be somewhat of a hassle if you like opening and closing your windows. It’s important to consider both interior and exterior storm windows and replacement windows before deciding on what’s right for your home.